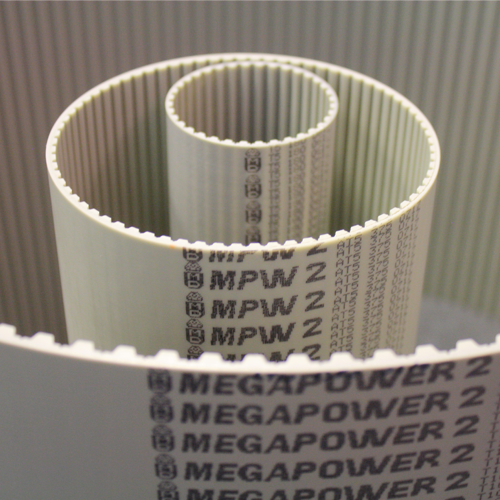 MEGAPOWER 2 offers high performance in terms of traction resistance and flexibility, representing thus the most efficient system of power transmission. A combination of the best materials and the most advanced production techniques, gives improved performance. A thermoset polyurethane body of 88 ShA, gives excellent resistance, even during load surging shocks, encountered during stop/start cycles. 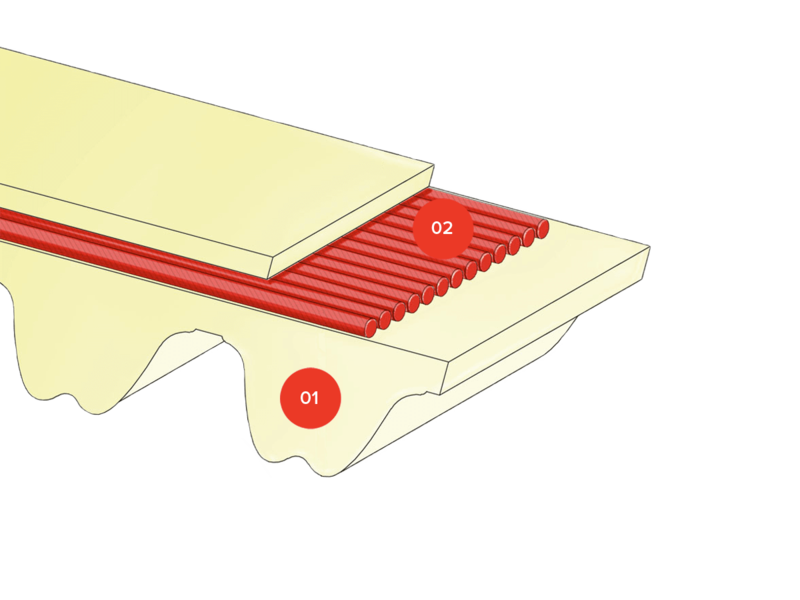 The thermoset polyurethane is obtained by mixing a prepolymer with a bonding compound and heating the mixture. Available with Kevlar, Fiberglass, Stainless steel, HP, HF, HPF cord.